1. 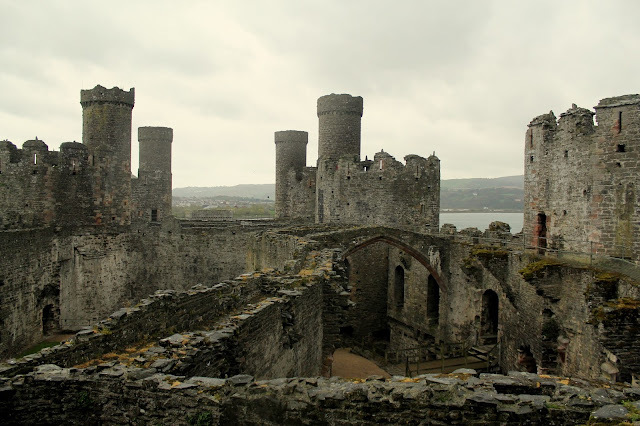 Conwy Castle: There's been no shortage of castles in our European travels over the last two years. (We've even been to an American one.) But Conwy Castle ranks as a favorite for several reasons. At Conwy, you are free to explore on your own, in whatever order you'd like. No shuffling along amid other groups. See a staircase you want to climb? Go for it. Spot a room you want to go into? Be my guest. Plus, the signage was clear and informative throughout the property, so we were learning as we (somewhat aimlessly) wandered. This type of set-up is ideal for families with young kids. My boys felt like they had some control over what they were seeing, yet we could properly answer their questions because of the information provided. It's an indoor/outdoor environment. It rained for most of our visit to the castle (actually, let me rephrase that... it rained for most of our weekend in Wales). But the castle had plenty of little rooms, tunnels and other shelter where we could get a break from the elements. In fact, it was an ideal way to spend a rainy day as long as you wore suitable clothing to get a bit wet. There was a fantastic kid's trail. I have a love/hate relationship with all the children's adventure "trails" and "hunts" that attractions produce. Sometimes they're a great tool to get kids interested. Other times, they leave all of us, particularly the kids, frustrated and angry when they're not executed well. But the one at Conwy was fantastic. Suitable for all ages (with a little help from parents) and creatively fun. The best part is that is was more than just a hunt. All four of us learned so much more about the castle via this tool than we would have otherwise. The highlight of the castle is the amazing views over the vibrant town and sea from the many towers you can climb. Absolutely stunning. 2. Bala Lake: In hindsight, this would be the place I'd probably skip returning to on a subsequent visit. It's hard to believe but that photo above is somewhat lackluster compared to other views we were treated to in Wales. (It really is an embarrassment of riches in terms of gorgeous scenery in this country. The mother in me wants to scold sweet, little Wales for not sharing more of its treasure with other countries.) 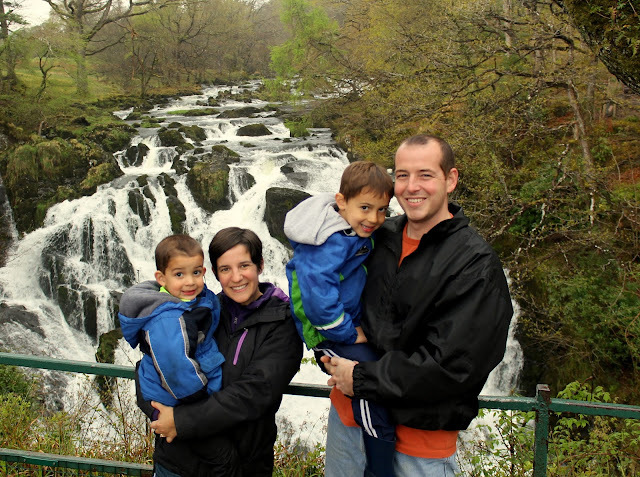 But this town does offer some advantages for families that are worth mentioning. There were relatively flat, smooth hiking paths aroung the lake. The other hikes we took in Snowdonia involved some steep climbs. 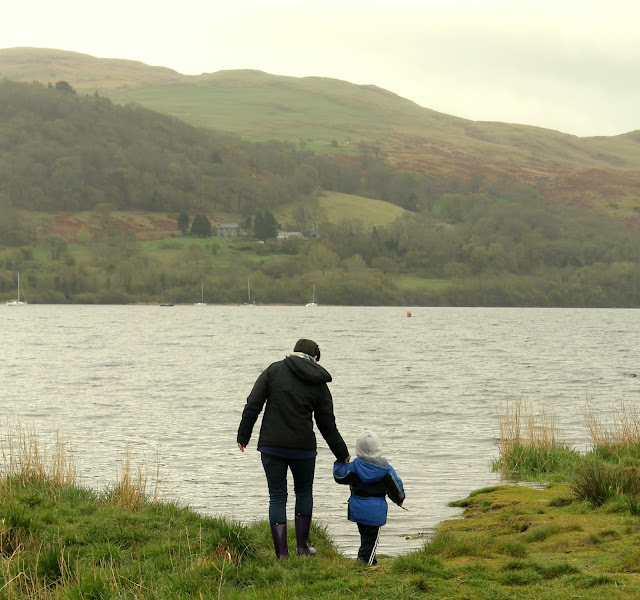 If your family can't take that physical effort, then Bala Lake is a great place to head instead. I can't speak from experience but I'm relatively sure you could even push a stroller on the path we spent some of our time on that morning. There's a great café/restaurant with a large indoor play area for young children nearby called Gorwelion. My kids were being troopers about the wet weather but we were all ready for some indoor heat and shelter and this place delivered that with some tasty food, too. 3. Swallow Falls: You won't be winning any awards for finding some off-the-beaten path hidden gem when you visit these famous falls. They are very much discovered, but that also makes them a great choice for families with young children. They're easily accessed by a series of cement stairs with railings, so it was very safe to let our children explore. (Not to mention, they make a perfect backdrop for family photos!) Please note that there's a small admission charge at the turnstile gate so be sure to bring some change with you. And you'll park in a lay-by along a busy street which, quite honestly, made me more nervous with the boys than the raging waterfalls themselves! 4. 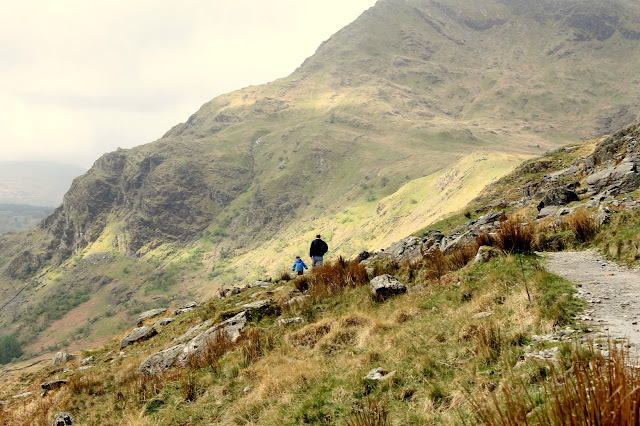 Mount Snowdon: As the highest peak and the reason the region got it's name, it's a must do. Rarely have I laid eyes on scenery as majestic as this (although maybe that's the flat-land Midwesterner in me coming through.) We hit a trail that offers great views of it on our way back to England and it was a pretty remarkable farewell. There are several options for enjoying the mountain. An all-day hike to the peak. If my kids were a few years older, we would have definitely tried to do this. There are several trails that take you to the top, so just research what you think will work best for your family. And be prepared. You'll need food, weather proof gear, and proper shoes. Short hikes around the base and up as far as you'd like to go. This is what we opted for. Perfect for us. Just enough physical challenge to interest the boys, with amazing views for mom and dad to soak up. The trail we took was the Llwybr Pen y Pass Footpath. Train to the top and back. We almost did this but it would have involved making the boys sit still on a train for more than 2 hours roundtrip. We did quite a bit of driving just to get to and from Wales that I wanted to spend our time moving our legs. But it looks like an amazing experience and had we had more time, we would have done it, I'm sure. 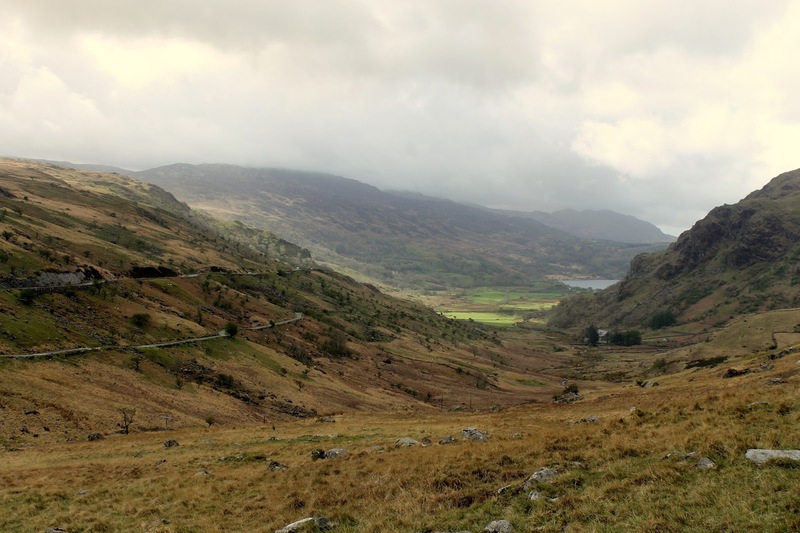 Whatever you get up to in Snowdonia, Wales, I can pretty much guarantee you this: it'll be beautiful. And maybe wet!